The BeEngaging option of the Social Engagement Program includes everything found in the BeSocial option plus additional strategic marketing tactics designed to increase your business preferred visibility and engagement in top social media platforms. 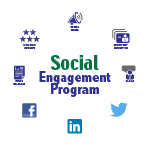 BeEngaging is our mid level option of the Social Engagement Program. To view our entry level and top level offerings, please review the BeSocial and BeCompelling options. MarketBlazer Blogging service includes regularly scheduled blog posts for your WordPress website. Each blog post is a minimum of 500 words of unique high quality content that is guaranteed to pass Copyscape. Where appropriate, each blog post will contain a “for more information” link to an article on an outside authority website. 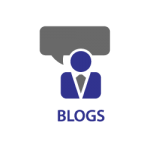 Each blog post includes a supporting picture and a call to action to motivate customers and prospects. 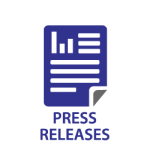 MarketBlazer Press Release service includes both the writing and submission of a business related newsworthy article. Our standard submission service includes Google News plus various media outlets including national and local television, radio, newspaper, and magazine sites. For an additional fee, our premium submission service adds Yahoo Finance news outlets. A custom online media room is created which includes your logo, business description, contact information, and all submitted press releases.